Ships tomorrow if you order in the next 24 hours 54 minutes. 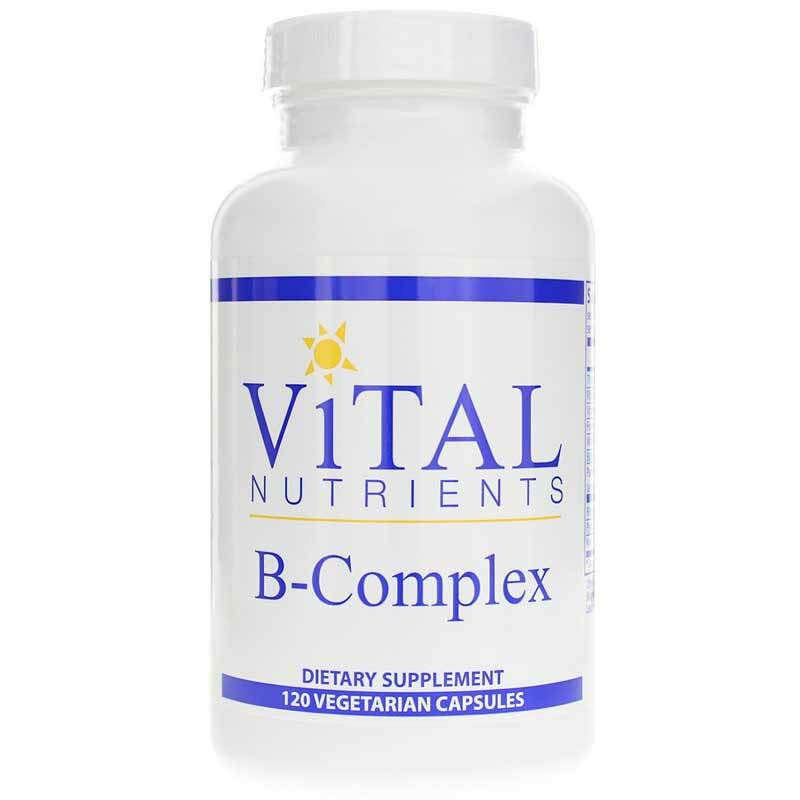 B-Complex by Vital Nutrients is a high potency B vitamin complex supplement that.supports a healthy nervous system. 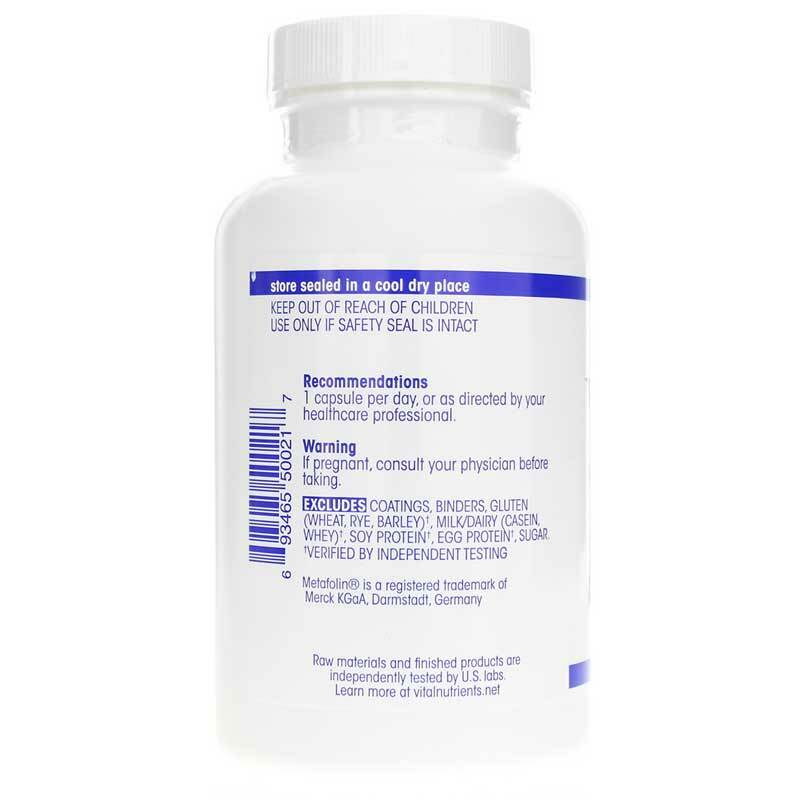 *B-COMPLEX is used in the metabolism of protein and fats, helps maintain muscle tone in the gastrointestinal tract and helps convert carbohydrates into energy. B-Complex also supports healthy nerve cells and helps promote the conversion of homocysteine, thus supporting heart health. 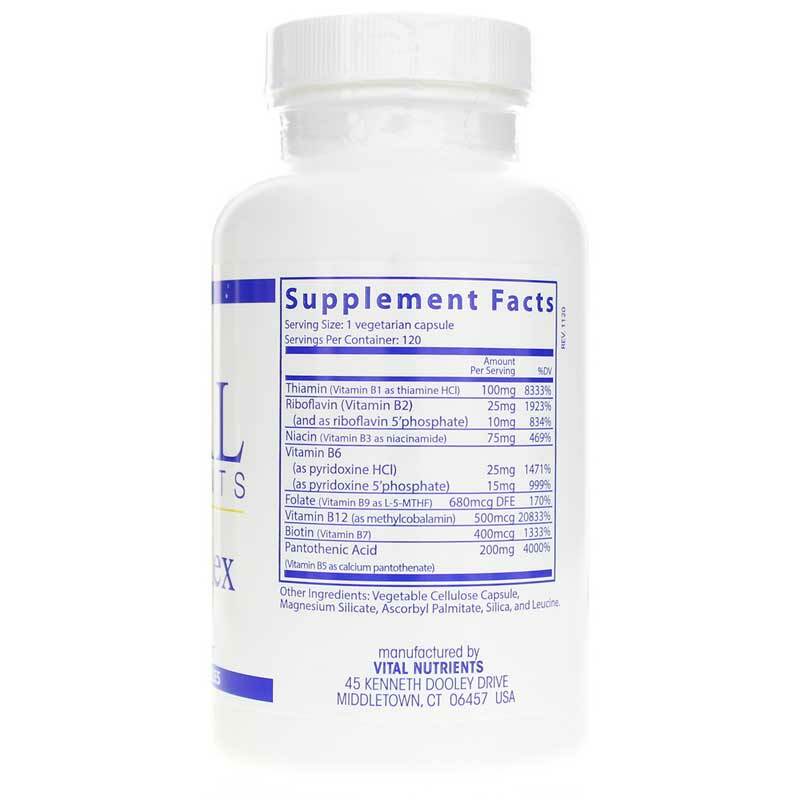 B-Complex is an important tonifier in times of mild stress and fatigue. Great product; I've taken this for awhile now with no problems. Fast shipping. Super happy with this. I love the fact that I only need to take one capsule a day. Ordering from this company is always a great experience. My stuff comes quickly and just as described. Good price for a great product!